Paul, WØAIH has fulfilled yet another of his dreams! 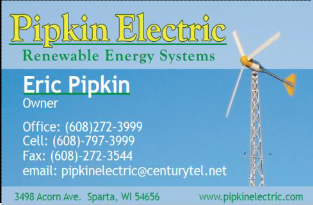 He now has a 10kW class wind generator up and supplying power to The Farm, and to the local power grid. 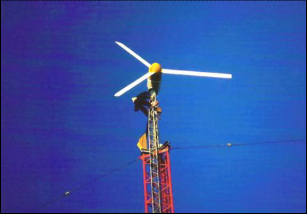 As with all of Paul's tower projects, he designed and built this installation to the highest commercial-grade specifications. Following, is a photo review of the construction process that took place during 2010. 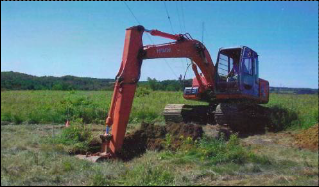 Site work begins last summer. This way beats digging by hand! 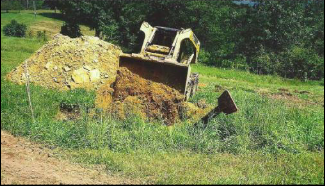 Backfill of guy anchors. 8-ft x 8-ft x 8-ft holes; 26 yards of concrete. The top of the gin pole. 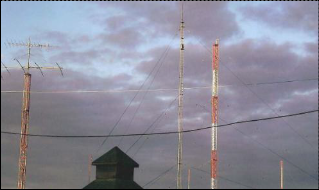 The 140 ft. Pirod tower is constructed in August. Up goes one of the 1300-pound sections. Precision hydraulic ground control. 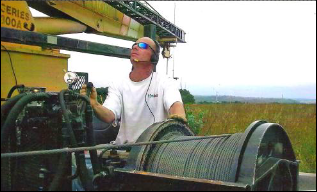 Note that the operator is radio active. 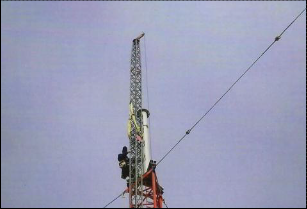 The lonely, completed tower with gin pole is QRX for more parts to arrive. 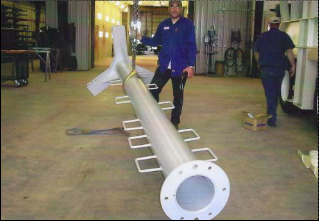 Paul designed this 15-foot, 11-inch diameter, 5/8-inch wall pipe as the mount for the wind generator. Paul included closed steps in his design. 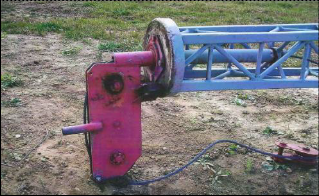 It was manufactured by Wisconsin Body and Hoist. 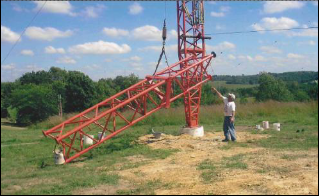 Len Kreyer, N9QIP and his Skywave Tower crew arrive in October to do some heavy lifiting. 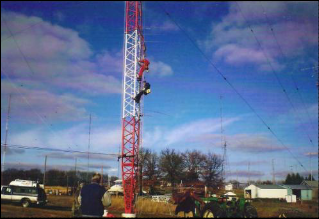 Len operates a network of amateur repeaters that span across Wisconsin. 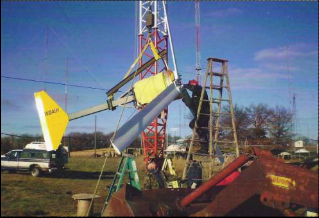 The 1,000-pound generator mount is installed on top of the tower. 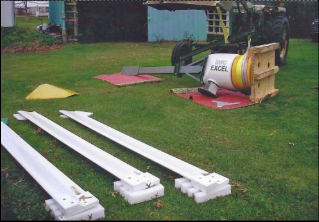 The generator arrives, and is ready for assembly. 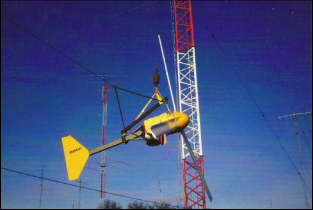 It's a 10kW Class Wind Turbine manufactured in Norman, OK by Bergey Windpower. The last blade is assembled to the generator. Paul and his helper ride up on the winch. 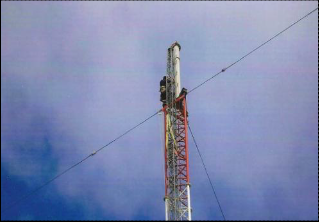 The gin pole is raised above the pipe mount. Up goes the 1050-pound generator. 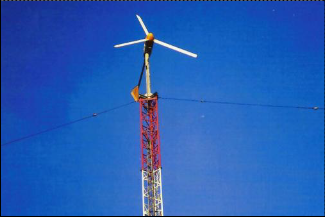 Len used a second winch to "tag" the generator and blades away from the tower and guys. 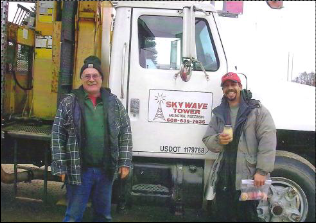 The generator was tied into the power grid by Eric Pipkin, W9RKN and his crew from Sparta. 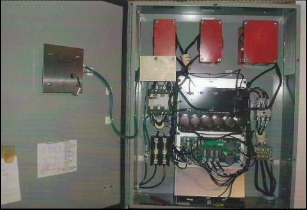 This is the "magic box," that converts "wild 3-phase" into 110/220, 60Hz power. Paul was highly impressed by the wiring done by Eric and his crew. Paul has noted that real-time power output runs between 7 and 11kW on windy days. 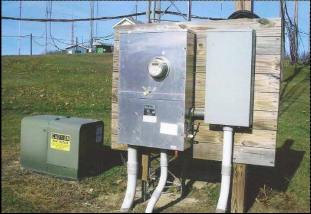 The generator's specifications predict a monthly output of over 1,200 kWh, for an average wind speed of 10 mph.